Ans. We are a team of passionate car lovers whose daily job is to make sure that quality service is provided to our each and every customer. We work with highest standards to exceed your expectations. We have a network of highly skilled mechanics and multi-brand workshops who make sure your car gets the best service. Q. Why I should choose Carpiko? Ans. We offer a sense of complete trust and control to you. Our pricings are the most economical and beneficial you get in this space. We make sure that each and everything with your car is done properly and with high standards. We are obsessed with quality and customer service. We are 24/7 there for you in times you face any problem with your car. Q. How I save my time & money with Carpiko? Ans. We understand in this fast pace world time is money. So we designed our services and processes according to your needs. You can easily book car service or repair at your doorstep or at our workshops near you. We will provide free pickup and drop so that you can sit back and enjoy your day while we take care of your car. Our prices are kept economical so that you get the true value of it. Q. How Do You Ensure That My Car Service Is Done Properly? Ans. Once you make a booking, we assign a Carpiko executive for your job. The Carpiko executive makes sure that all the work is done properly at our workshop and is in continuous co-ordination with the mechanics. We also send you the parts photos being installed in your car. All our workshops are given training about our Standard Operations Protocols (SOP's) which they follow to provide the high-quality service. Q. Do You Provide Service At Doorstep & Workshop also? Ans. Yes we do provide services both at your doortstep and at our multi brand workshop near you. You can choose where you want to avail the booking as per your convenience. We offer free pickup and drop on all the workshop services. You can sit back and enjoy life, while we take care of your car. Q. 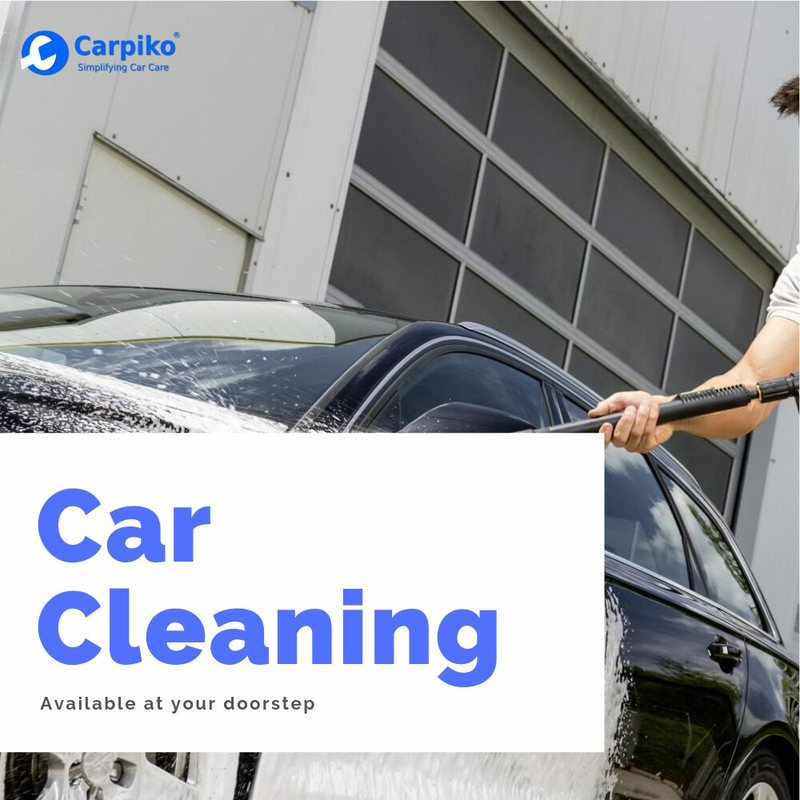 How can I book a service with Carpiko? Ans. You can easily make the booking by selecting your car brand, model and fuel type, then selecting the service and finally entering you details. Enjoy cashback from PAYTM MALL.